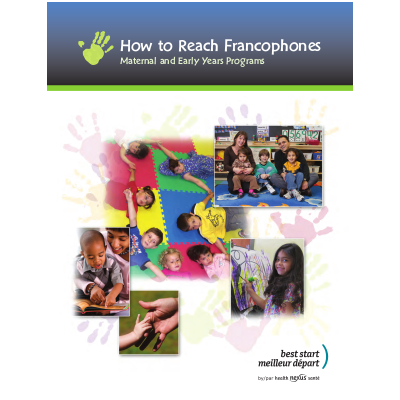 This guide has been prepared to support Ontario service providers who are working with francophone communities within the maternal and child health fields. It provides an overview of Franco-Ontarian communities, their needs and health promotion challenges. It highlights numerous suggestions for service delivery as well as descriptions of some successful and innovative programs across Ontario. The programs highlighted are only a sample of the range of programs available and many other effective francophone initiatives exist in Ontario.